Mastering phonics is fun with this BIG flip chart of lively songs set to familiar tunes. 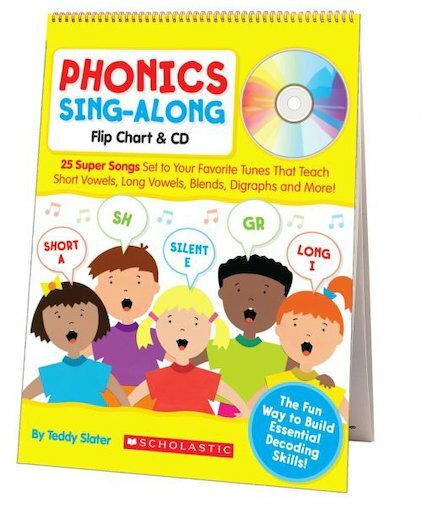 Turn to this sturdy resource to target and teach key phonemic elements including short vowels, long vowels, silent e, bossy r, blends, diagraphs, and more. Includes a companion CD of every song PLUS ready-to-go activities. A great way to reach both visual AND auditory learners! For use with Grades K-2.